As the media reported and encouraged the insurrection against Mubarak in Egypt, this past Spring, we watched with a wary eyed. There were several things that came to mind, and the first was that we never once believed that the protesters were prompted by a desire for democracy in their government. 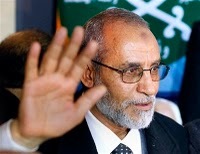 Once the Muslim Brotherhood reared its ugly head, we knew that all claims for a less stringent form of government were purely fiction. We actually pitied the women who were out demonstrating. Under the previous Egyptian government they enjoyed a much more liberated life style than that under a Muslim cleric led regime. With the Brotherhood come the Mullahs and the laws restricting women's activities and relegating them to slave status, quite similar to the status of women in Saudi Arabia. 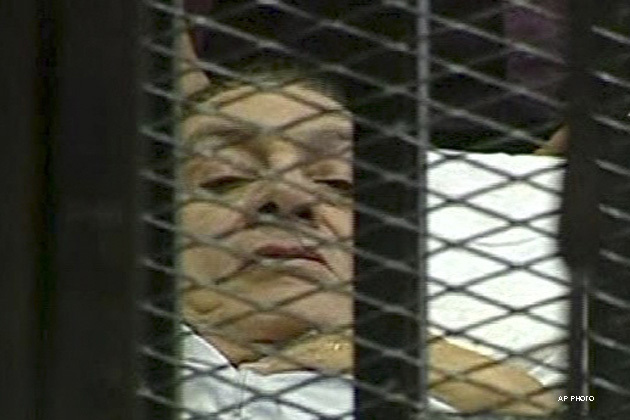 ﻿The Obama administration encouraged Mubarak to leave Egypt, but the aging Mubarak decided to remain in his native land. It is upsetting to see the ailing Mubarak being brought to trial in a hospital bed, receiving medical assistance, and housed in a cage like a dying tiger. Could that scenario ever repeat itself in a country like the United States? We can't answer that question with certainty because since January 2009, we've seen events in our country than few of us thought possible. Egypt is now seen as Islamist Egypt, and the country many Westerners once loved to visit for its history, it's ancient relics and sights will be much more difficult to tour and see with the same freedom as before. 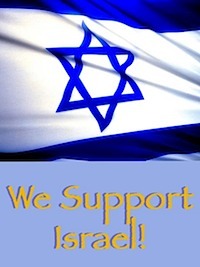 Most of all, we are Two Sisters From The Right are very concerned by the attacks on Israel coming from Egypt. Israel and Egypt have enjoyed a peaceful relationship since the Camp David accords of 19 . What we are seeing now is an Escalation of the Arab Israeli conflict that will assuredly please the Palestinians, but which deeply disturb those of us who support Israel's right to exist as an independent state. Below is an excerpt from an article in the National Review Online which details the events presently occurring in Israel. A link is provided to the entire article as well. Tension is mounting as Israel comes to grips with the new reality of Islamist Egypt. On Thursday, a team of 15 to 20 armed al-Qaeda terrorists (members of the Palestinian Popular Committees, an al-Qaeda affiliate) snaked through tunnels from Gaza to Sinai. From there, they hiked 200 kilometers over land, either ignored or facilitated by Egyptian army forces. They were thus able to sneak into Israel through the porous border at Eilat — porous because Israel has not needed to worry much about its Egyptian border for the last 30 years. At around noon, the terrorists took up positions along the highway and opened fire at buses and cars. One detonated a suicide belt. In all, eight Israelis were killed and 30 more wounded. The terrorists shot to death a family of four who were just out driving in their car — father, mother, and their 6- and 4-year-old kids (“resistance” against the “occupiers,” as Islamists like to say). Barry Rubin counts this as al-Qaeda’s first successful terrorist attack against Israel. From here, the story gets more frightful. Israeli police and defense forces killed several of the terrorists. They pursued at least two of the terrorists into Egyptian territory. At that point, some Egyptian soldiers either joined in the firefight or got caught in it accidentally — the facts are not yet clear, though a least one eyewitness says a terrorist was firing from an Egyptian army position. Five Egyptian soldiers were killed. © National Review Online 2011.